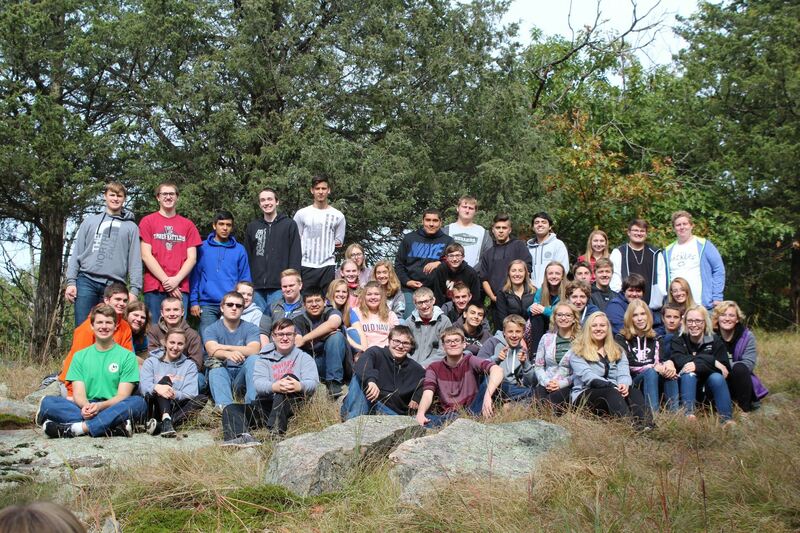 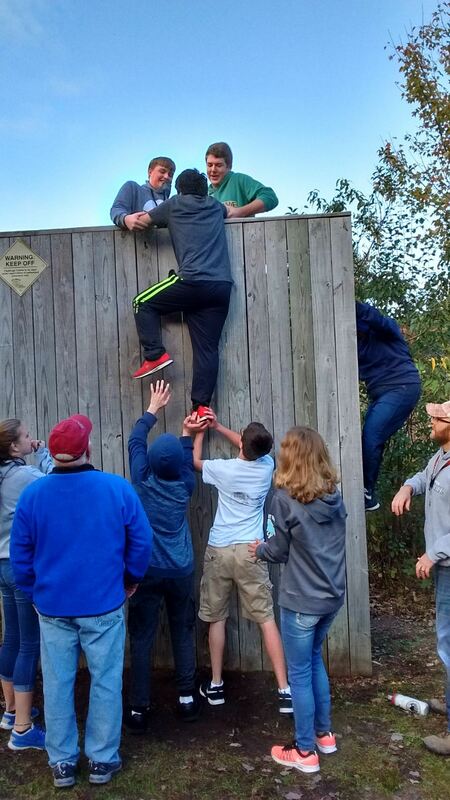 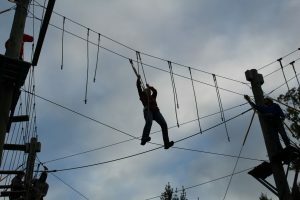 We ended our first round of seminars with a field trip to Vertical Ventures Ropes Course in Berlin. 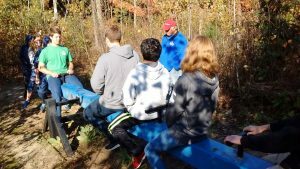 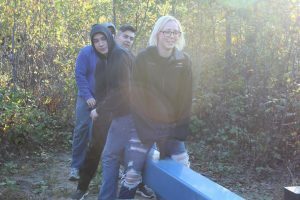 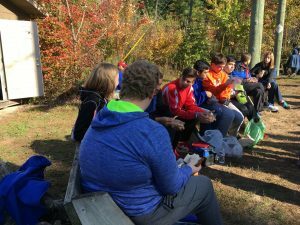 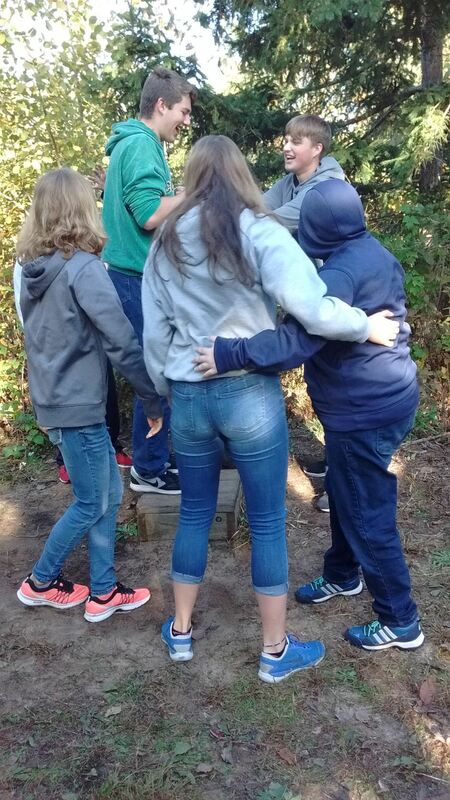 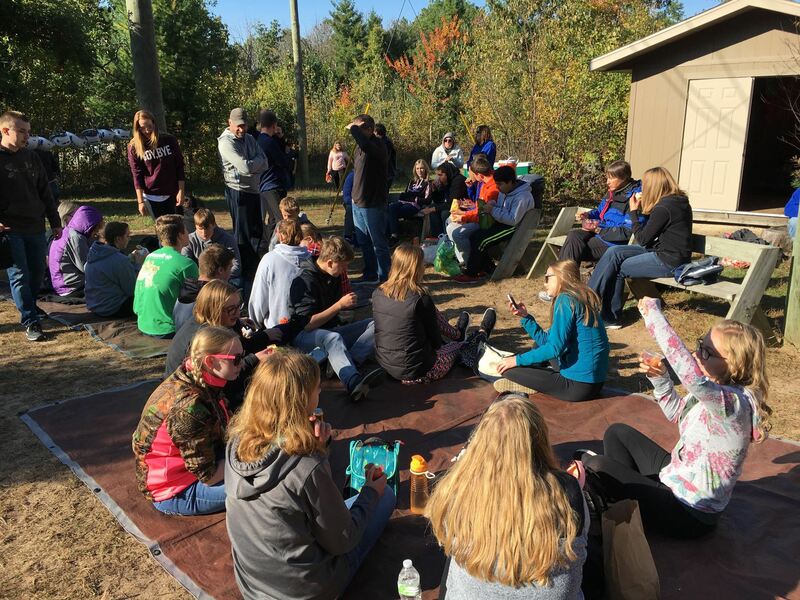 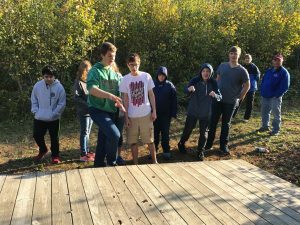 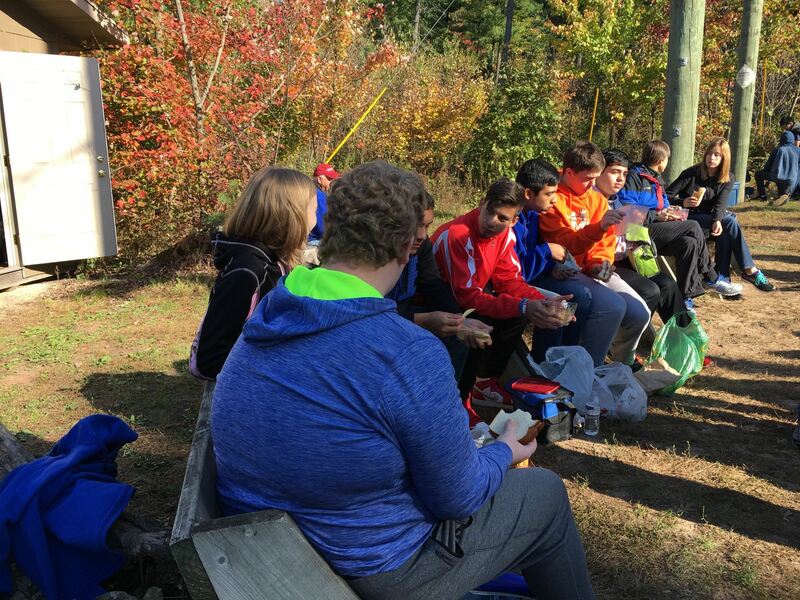 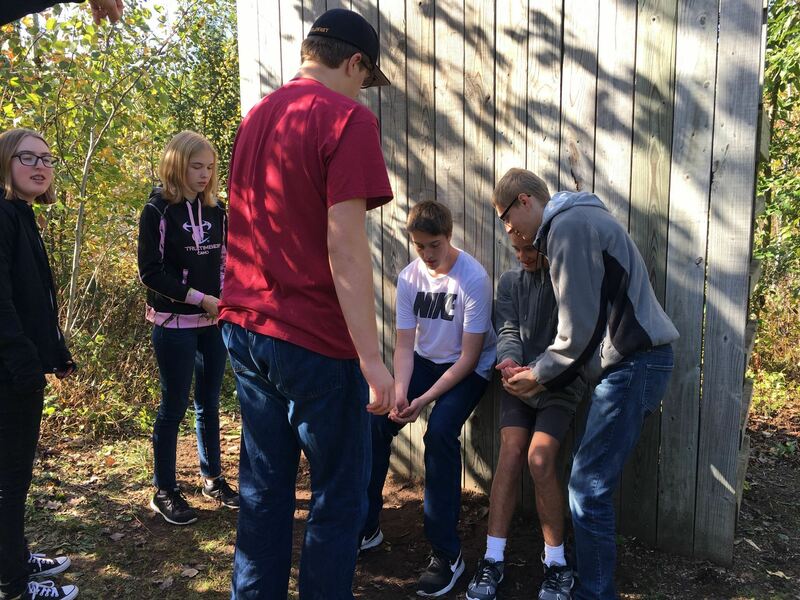 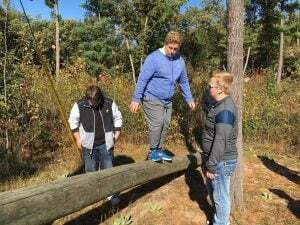 It was a fabulous day of beautiful weather, peer connection, problem solving, physical activity and fun outdoors! 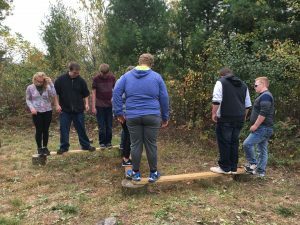 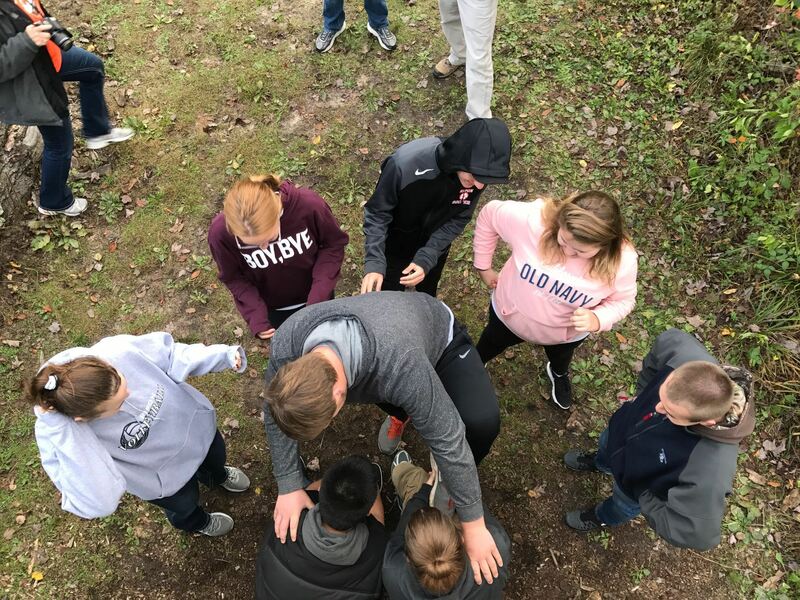 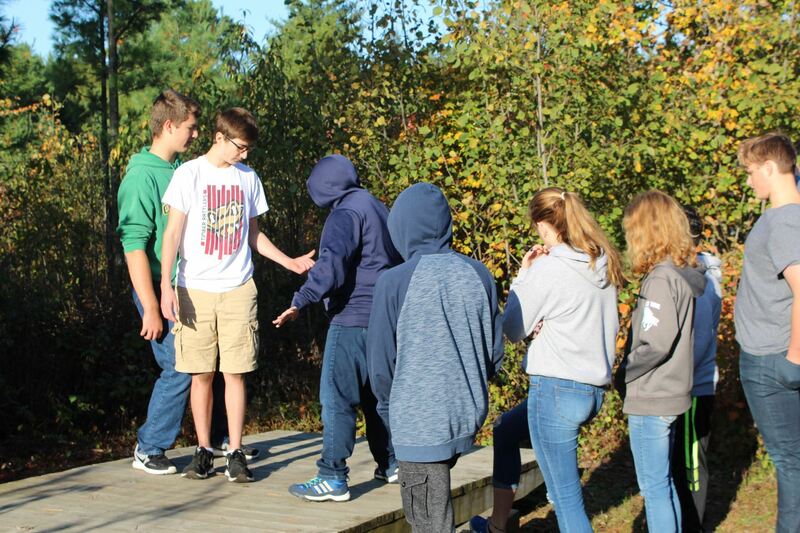 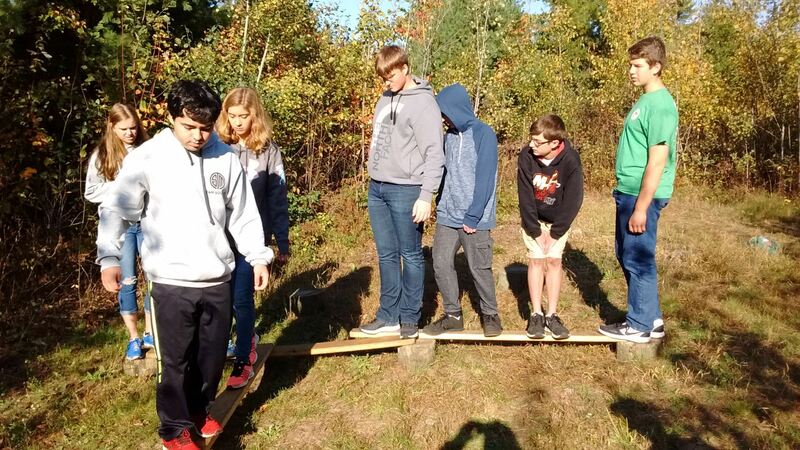 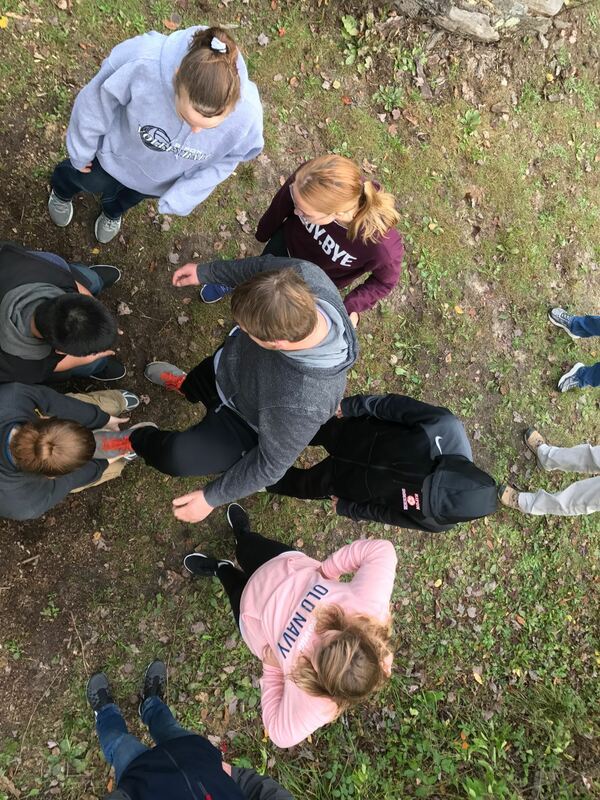 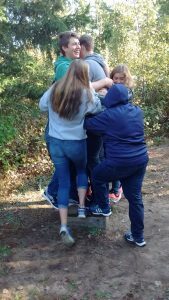 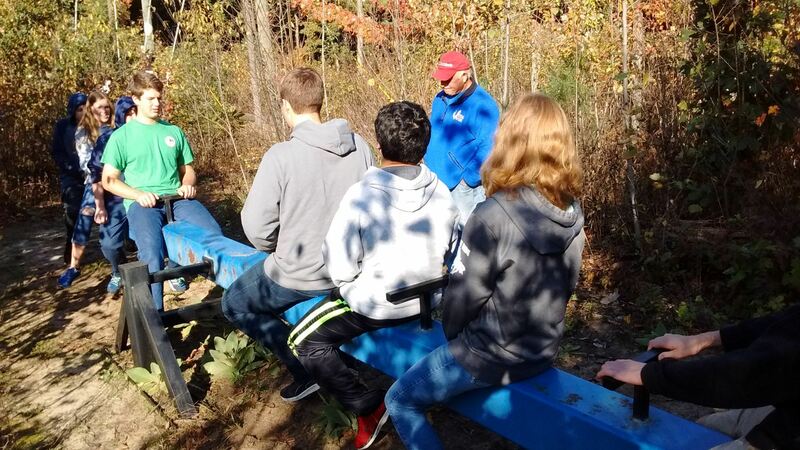 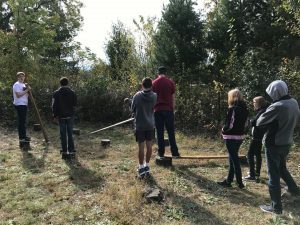 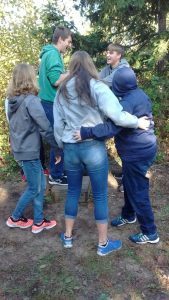 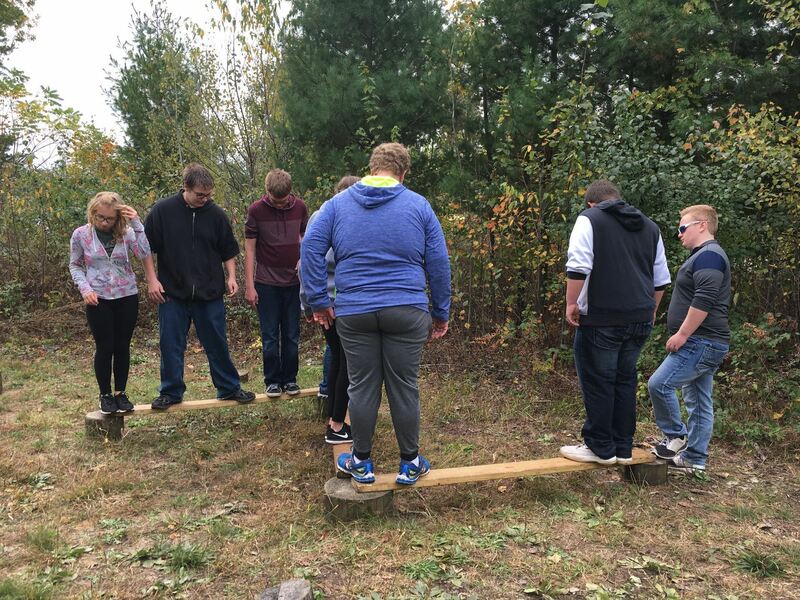 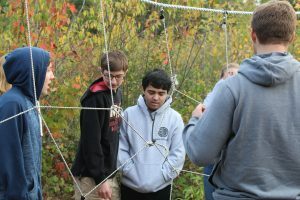 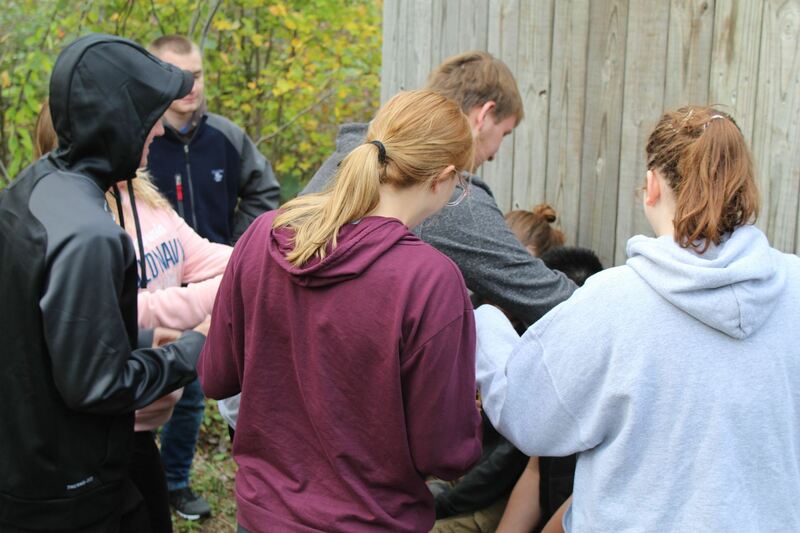 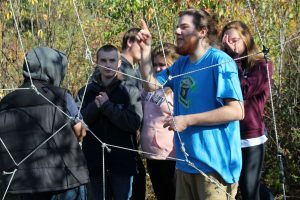 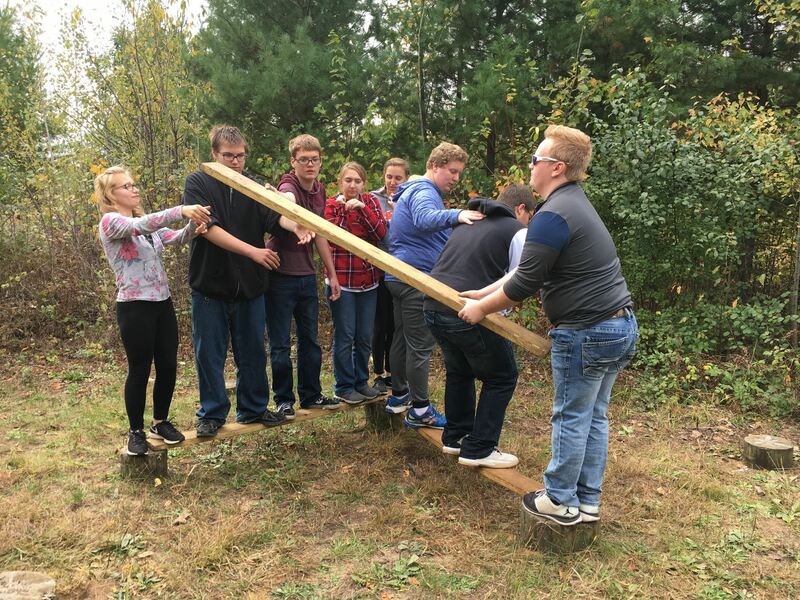 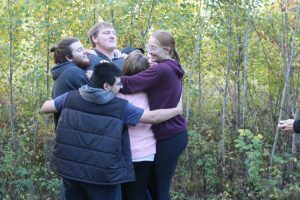 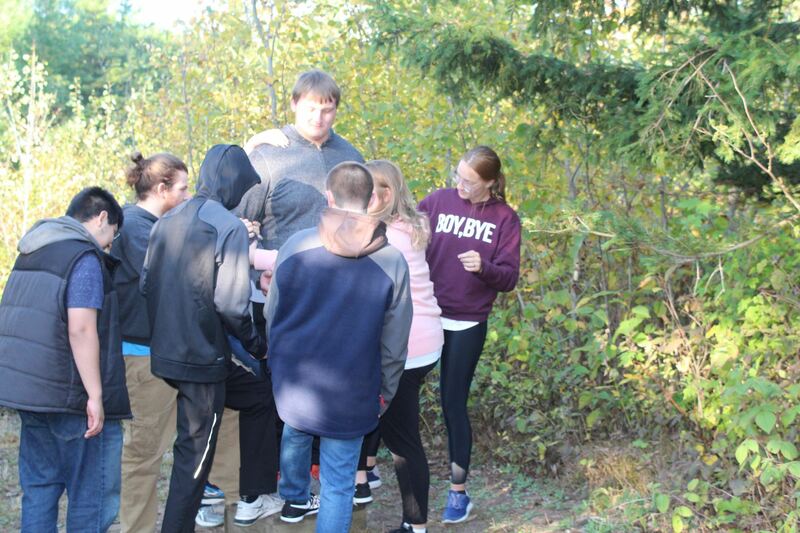 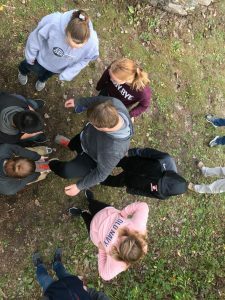 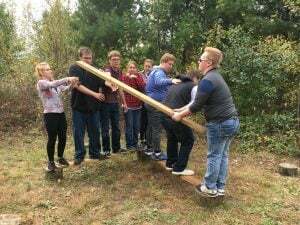 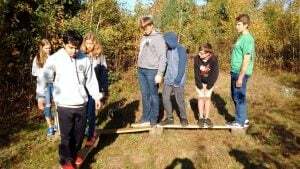 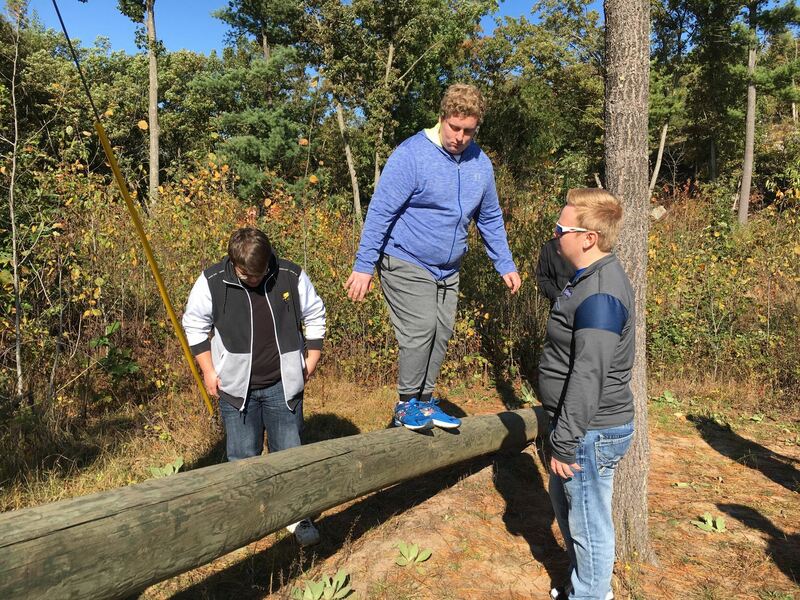 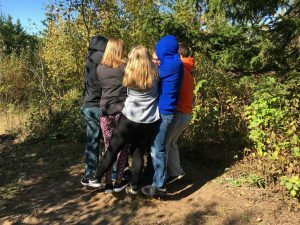 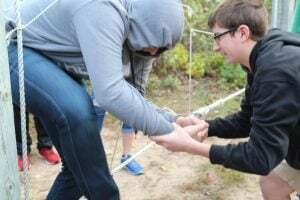 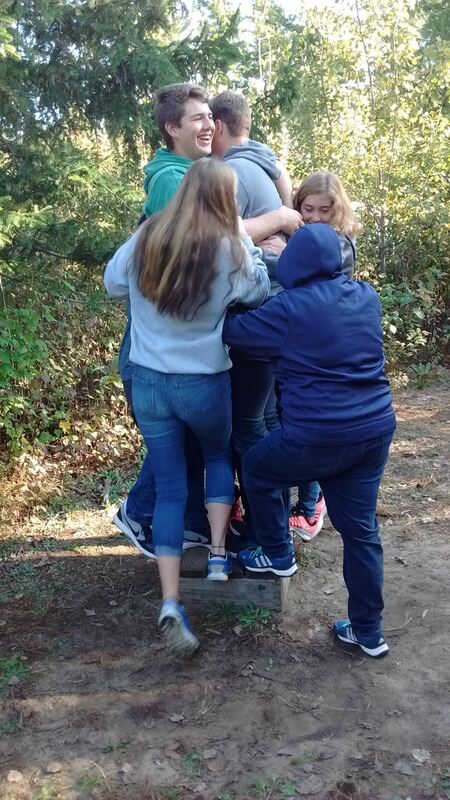 On the low ropes course students were given a variety of challenges where they had to work together as a group to accomplish a task. 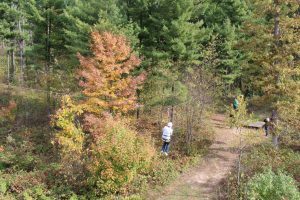 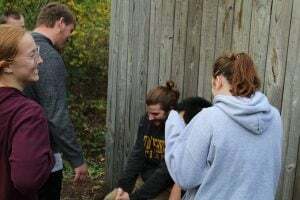 Here are some pictures of the fun! 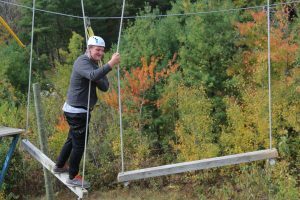 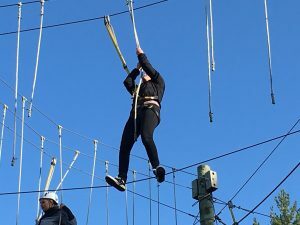 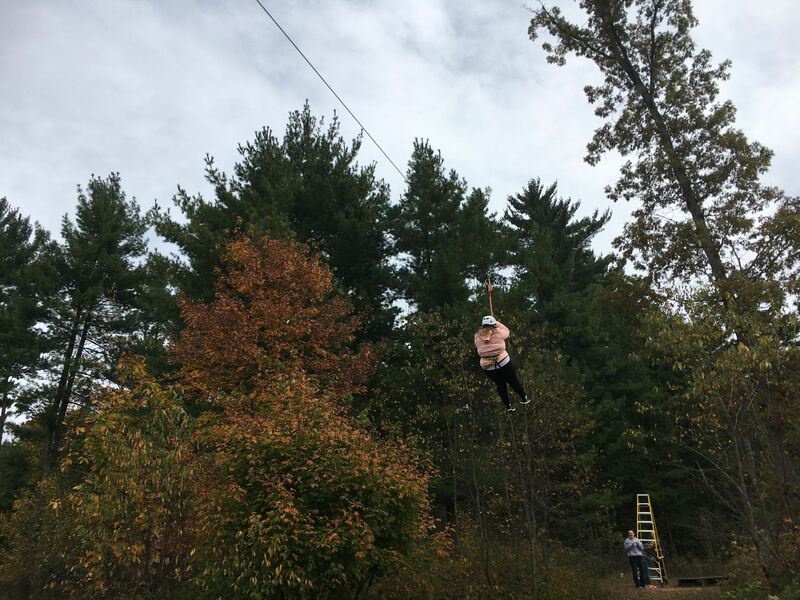 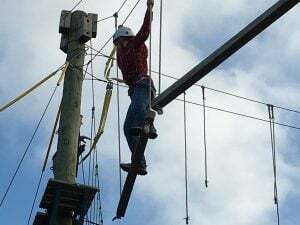 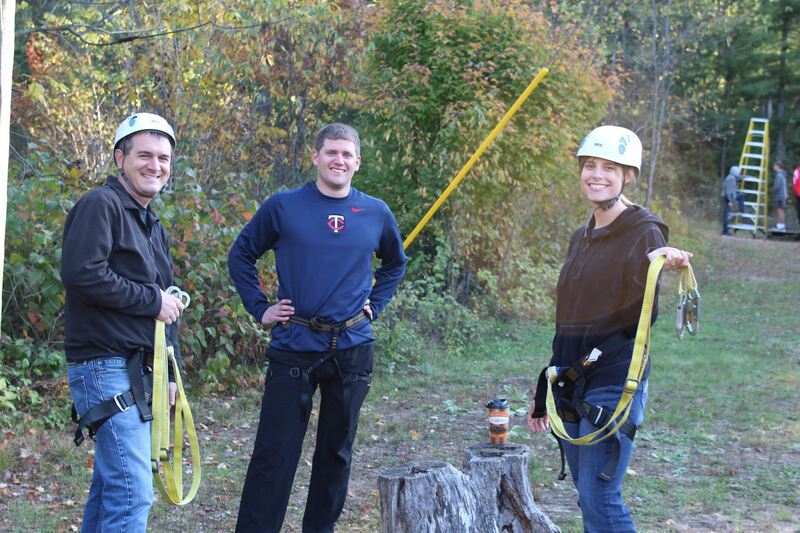 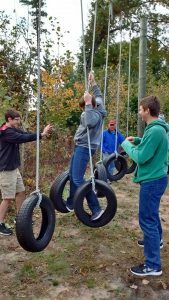 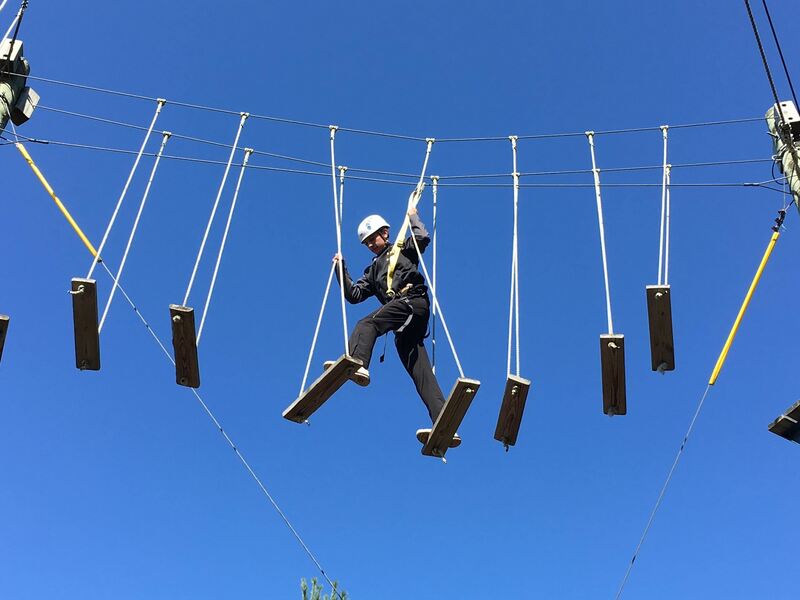 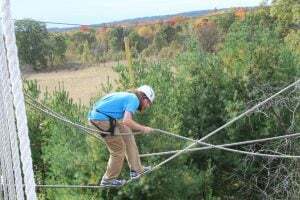 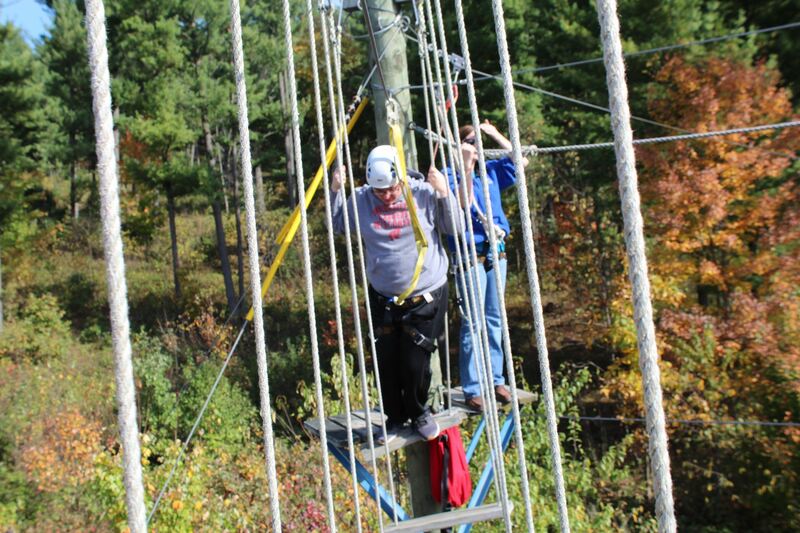 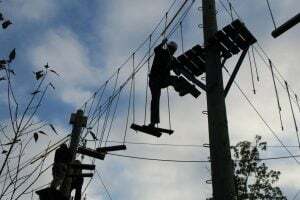 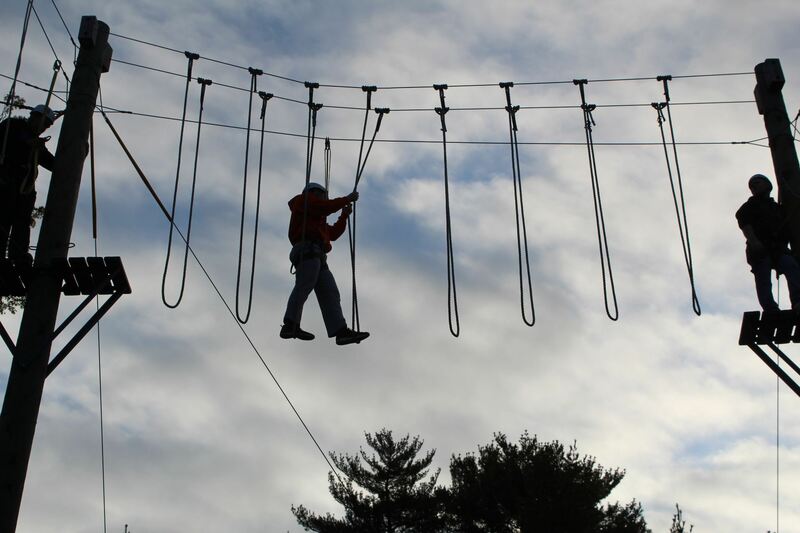 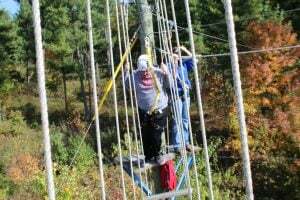 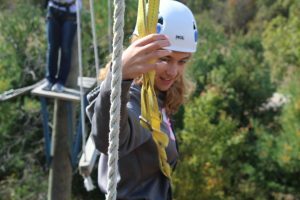 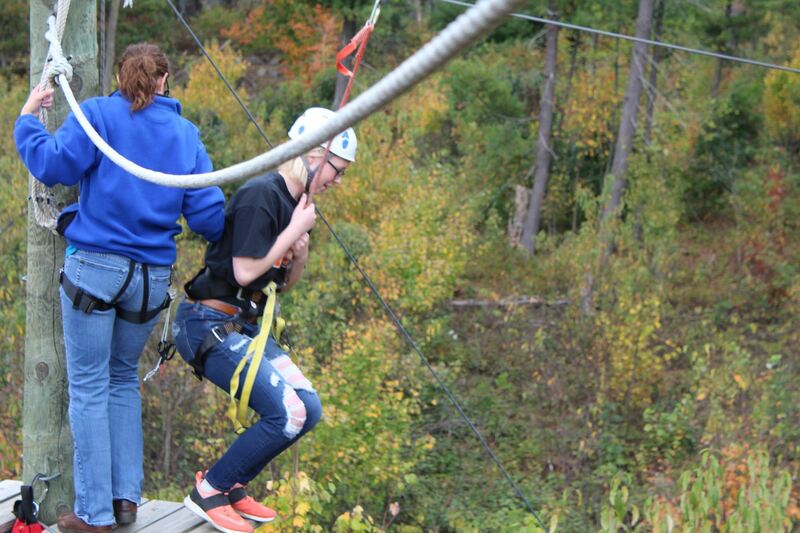 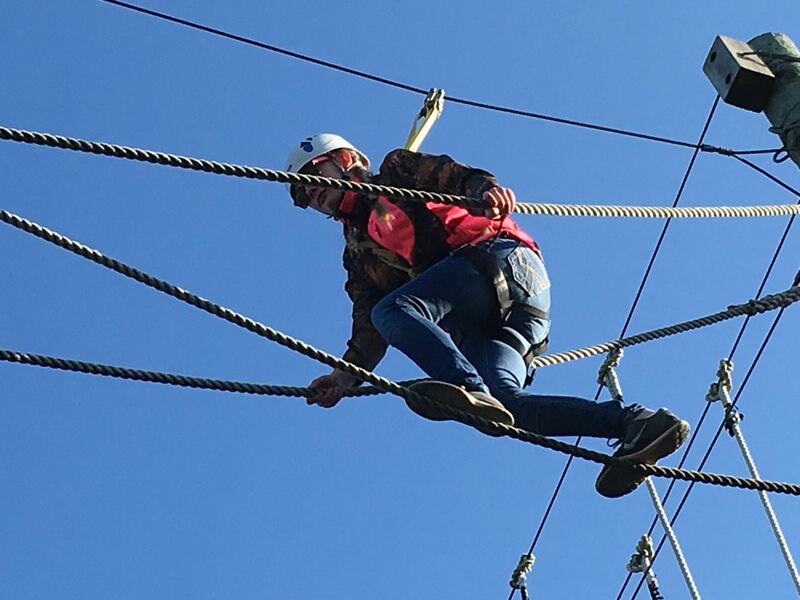 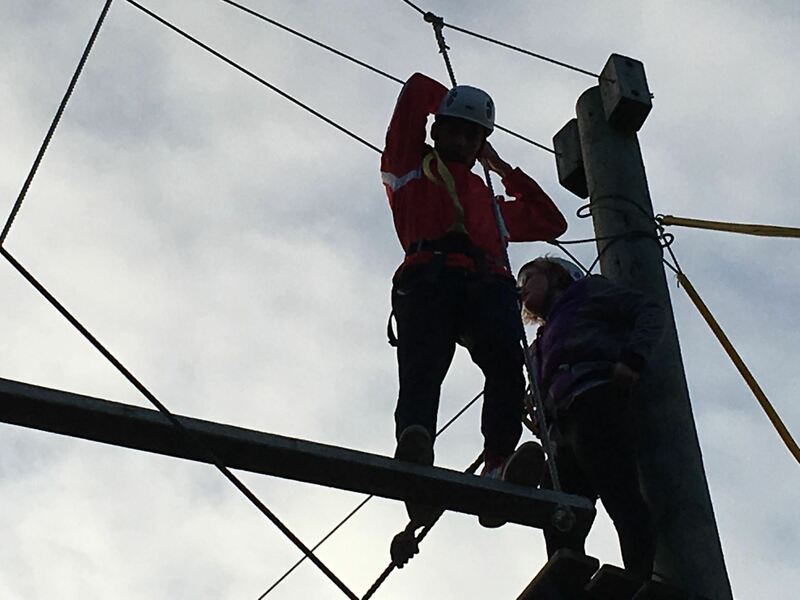 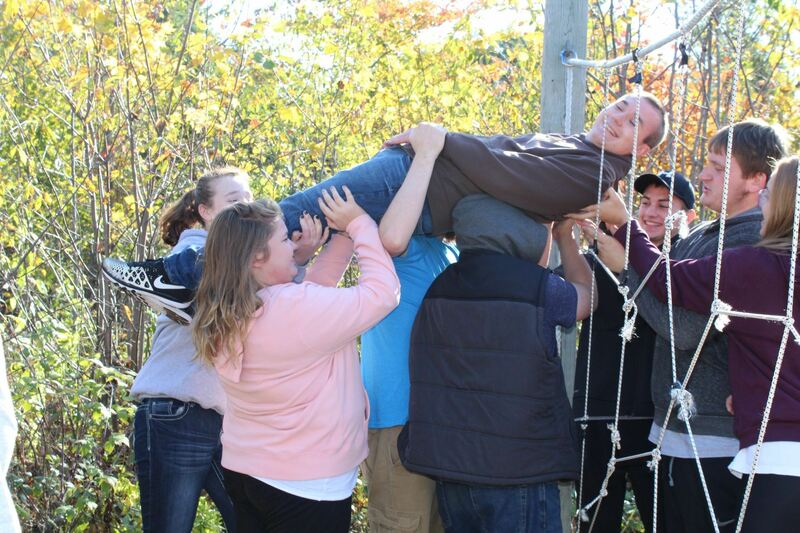 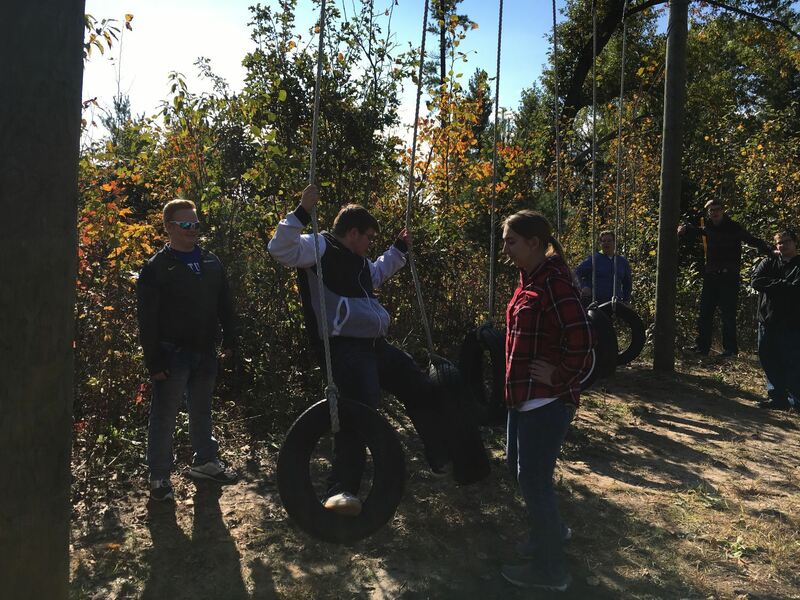 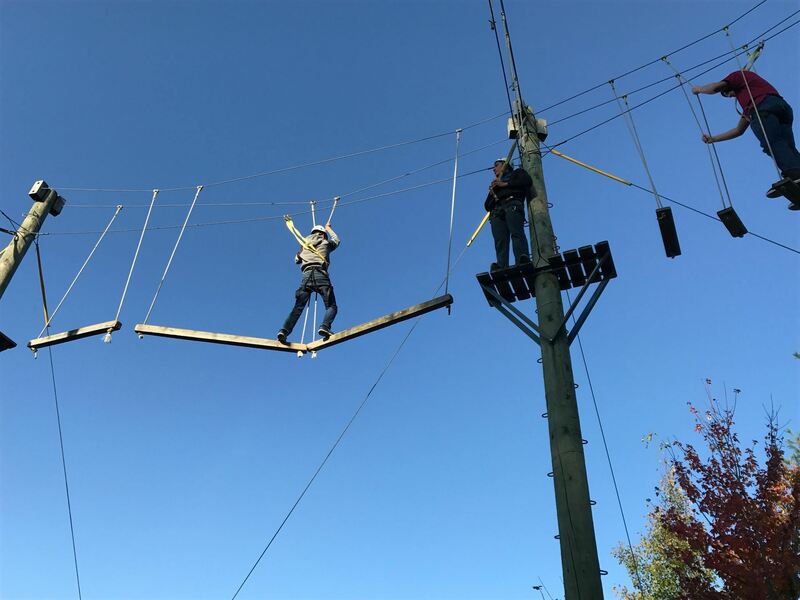 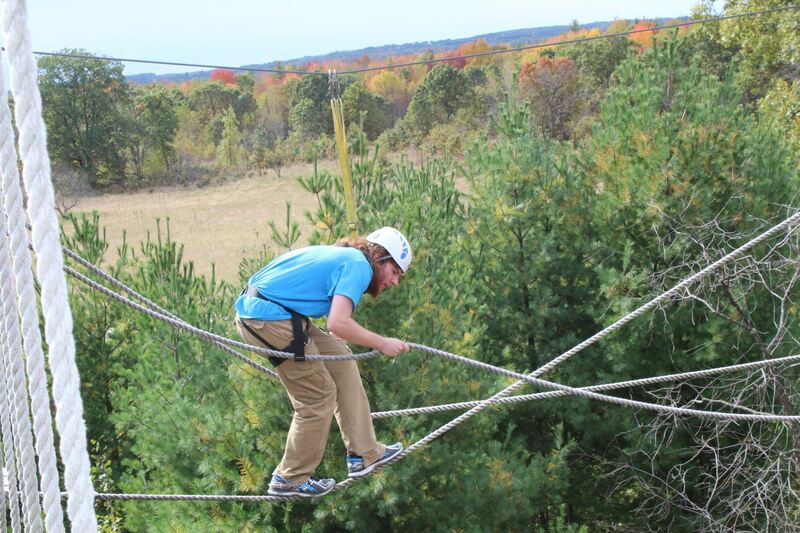 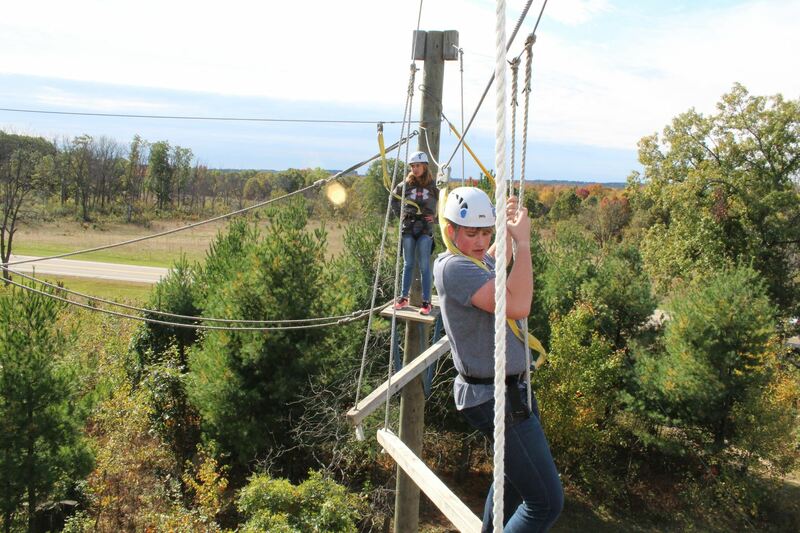 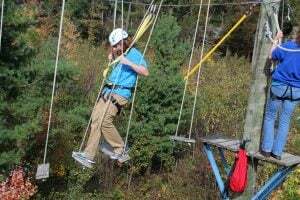 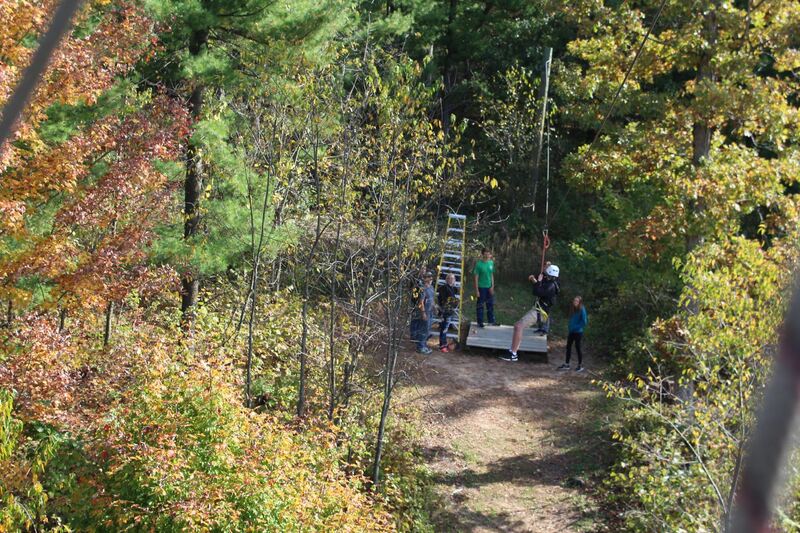 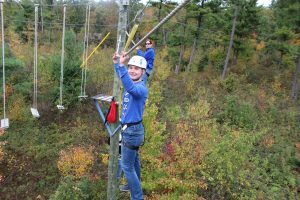 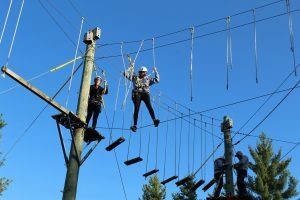 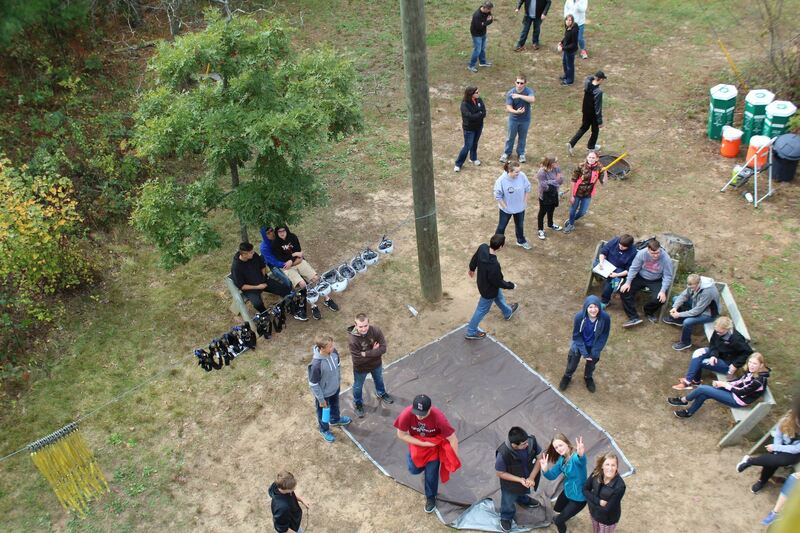 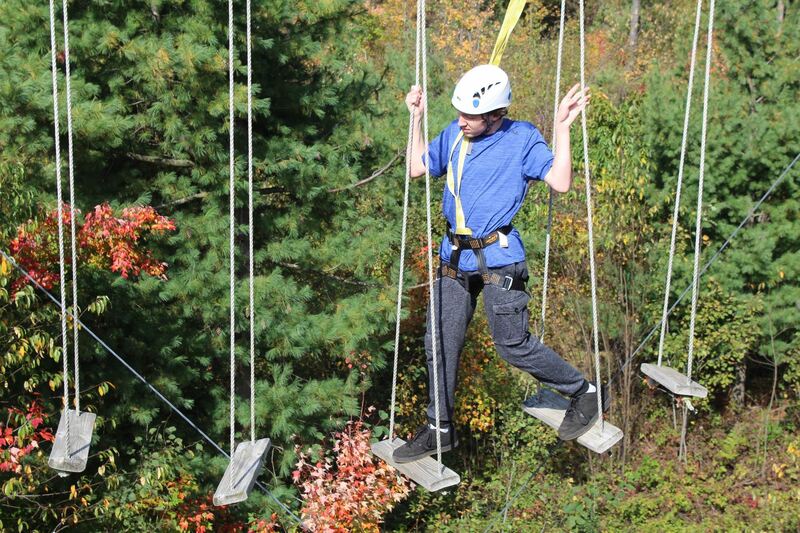 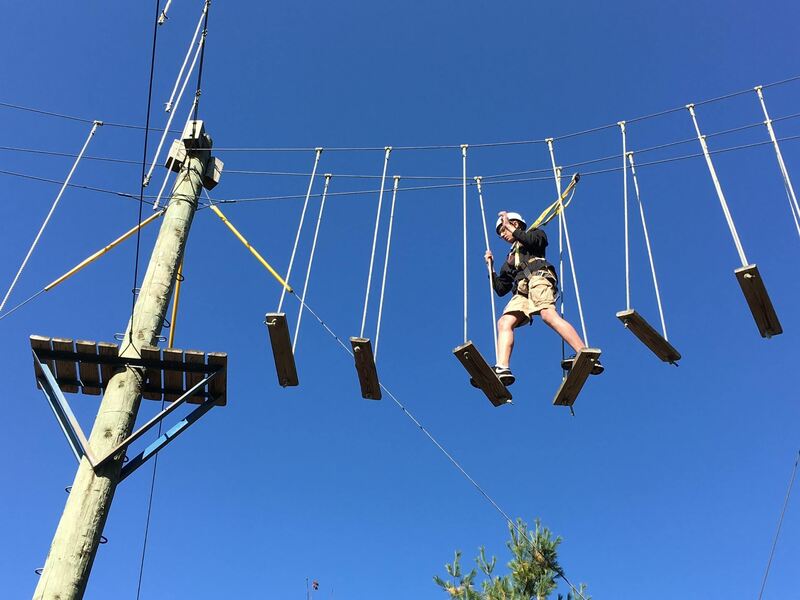 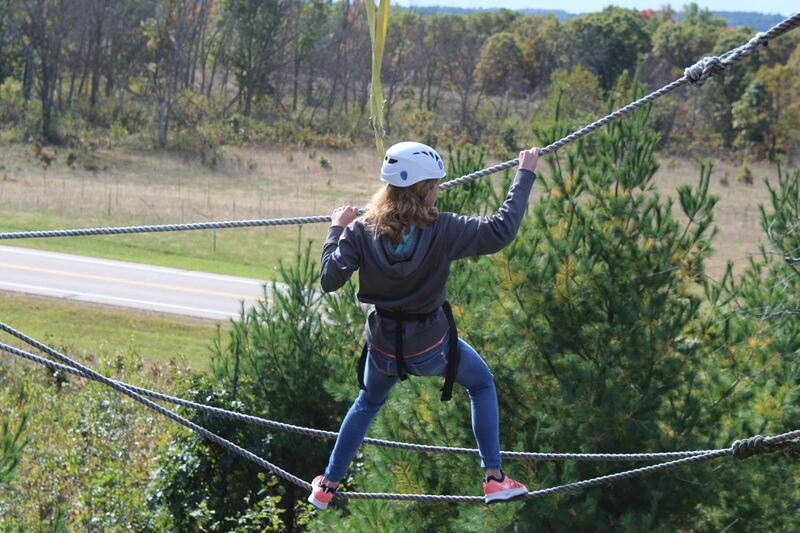 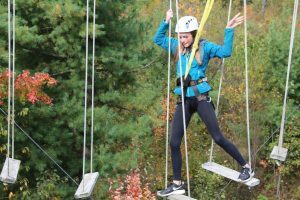 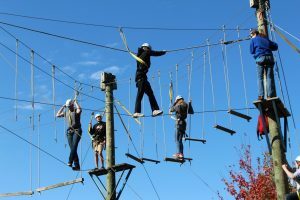 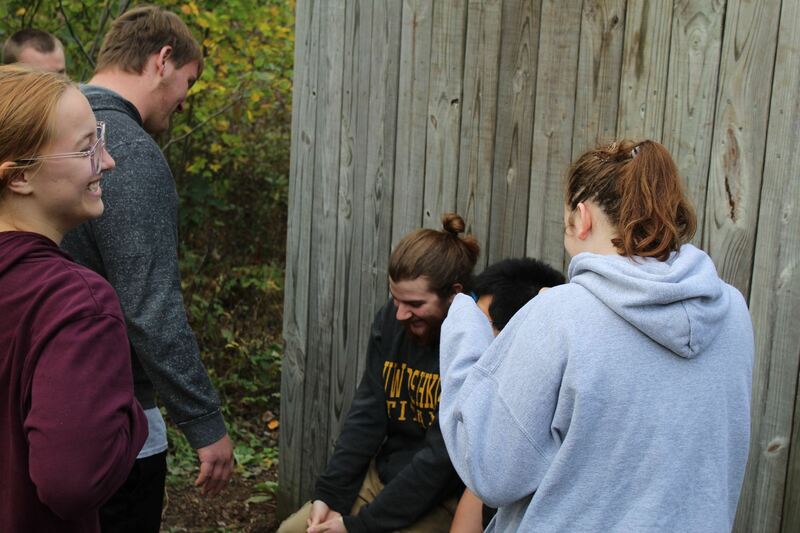 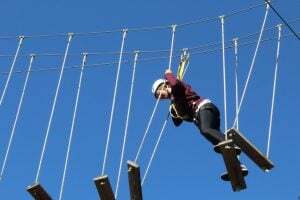 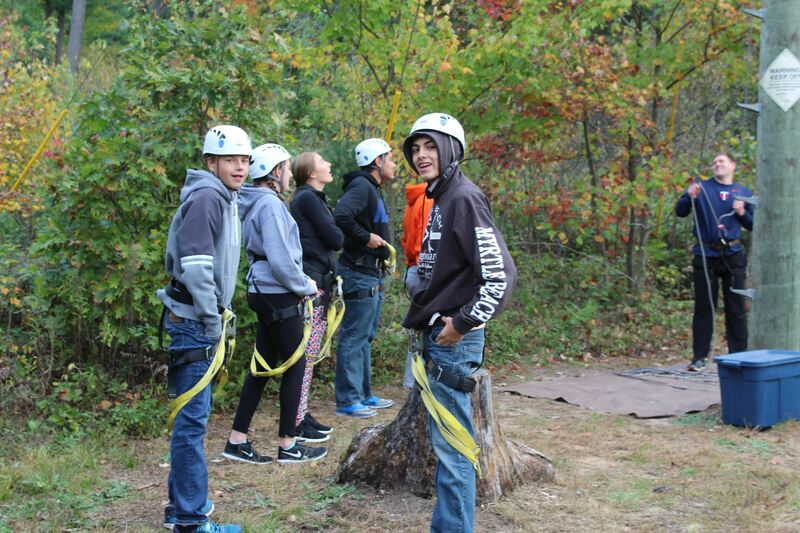 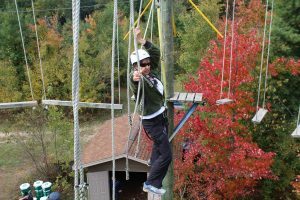 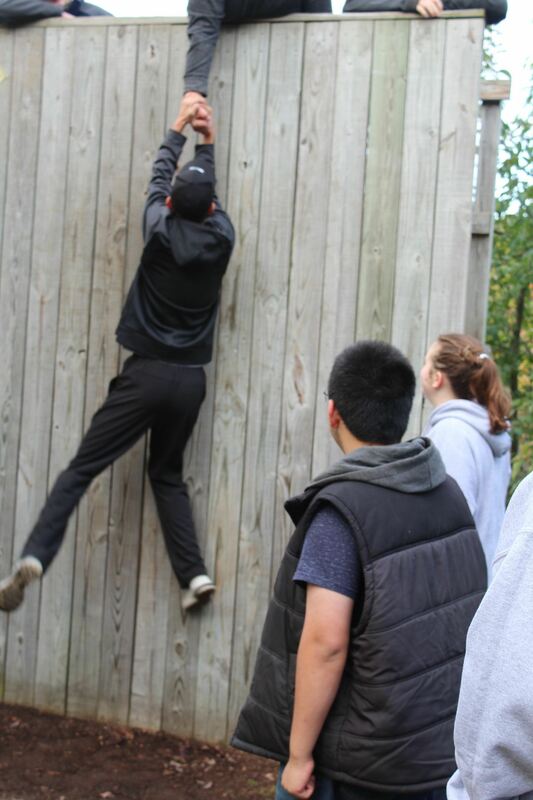 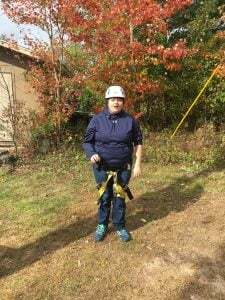 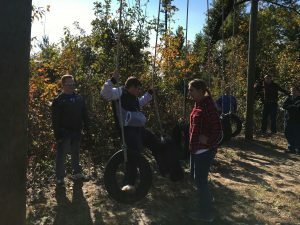 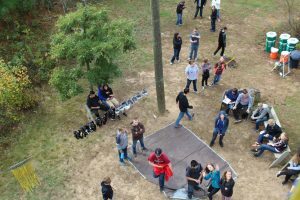 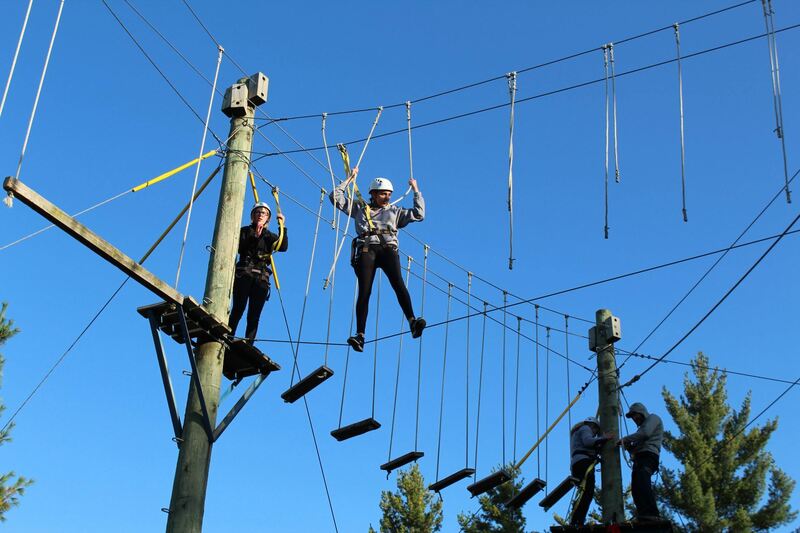 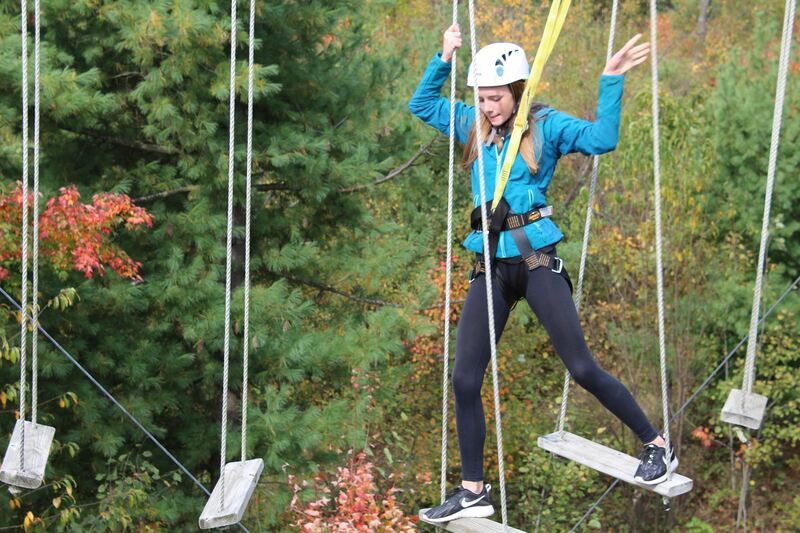 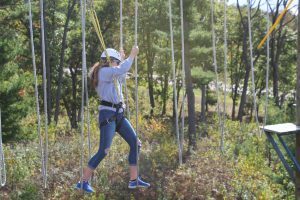 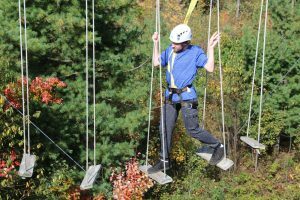 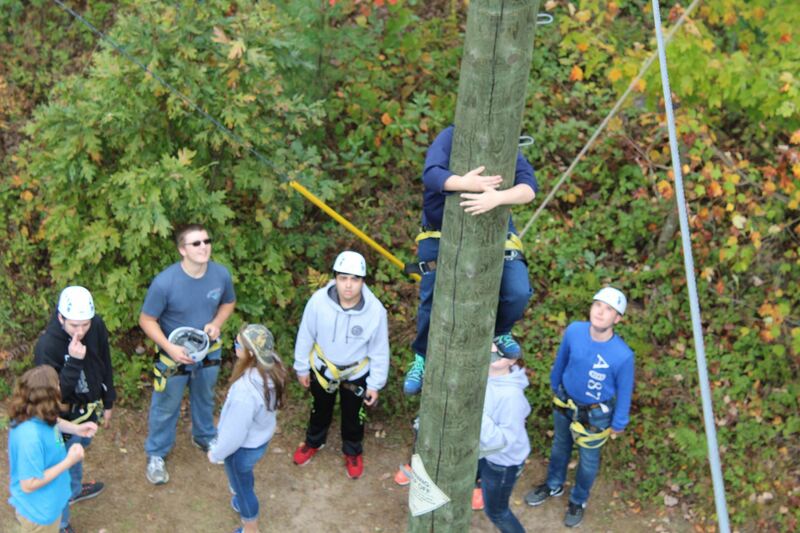 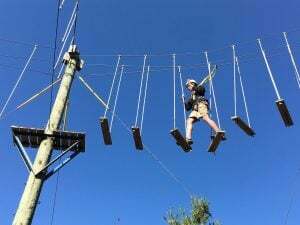 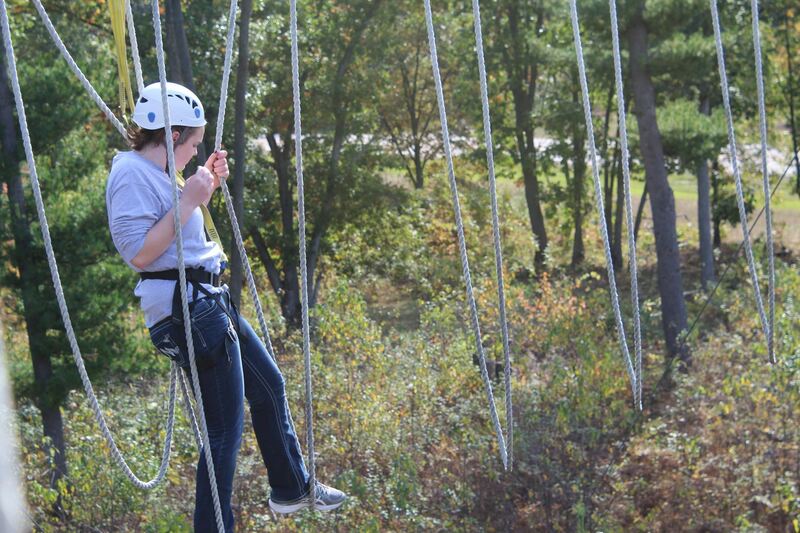 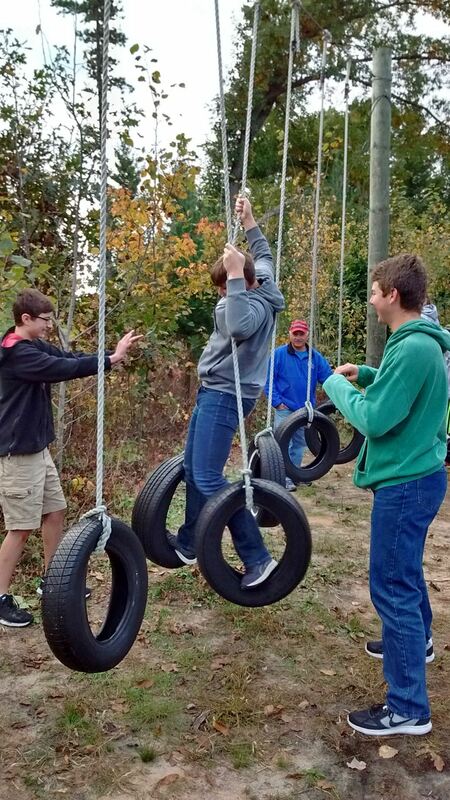 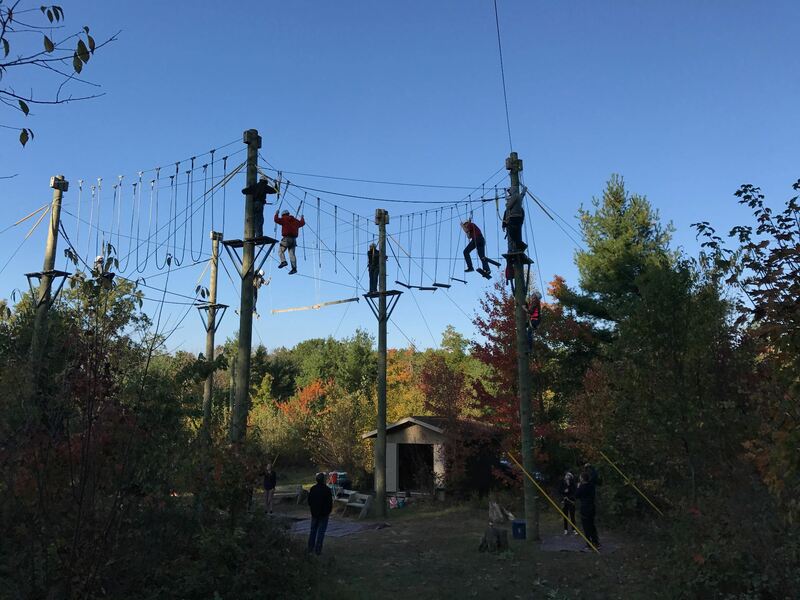 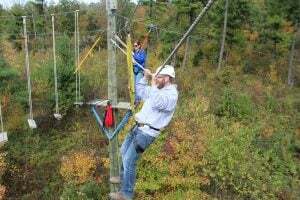 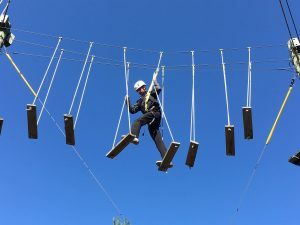 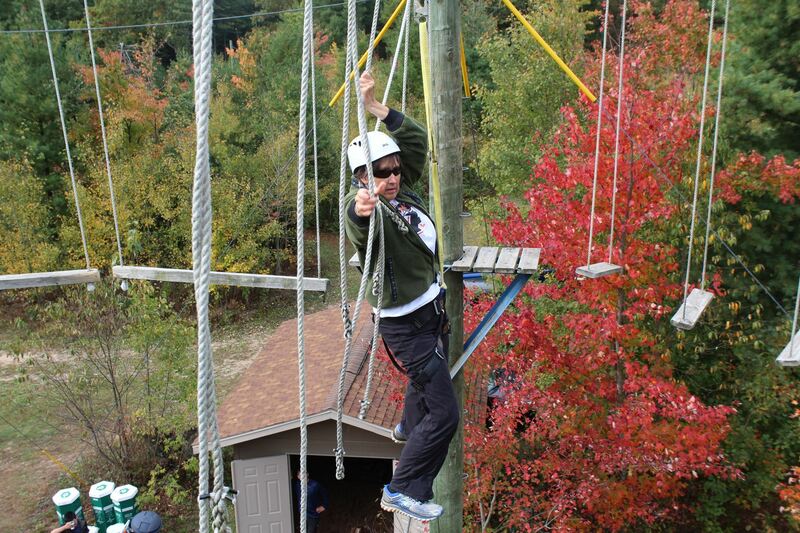 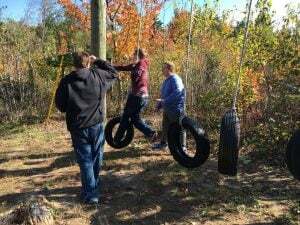 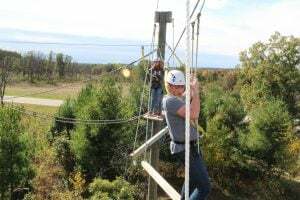 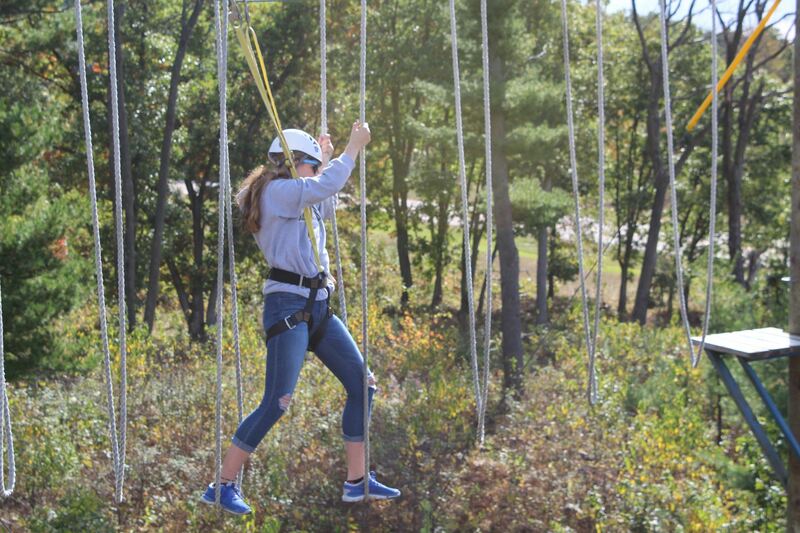 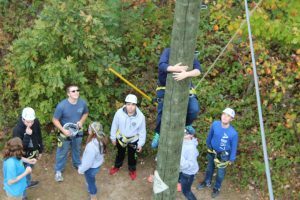 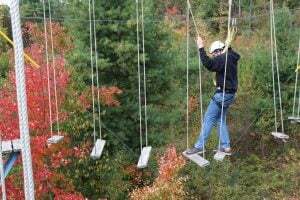 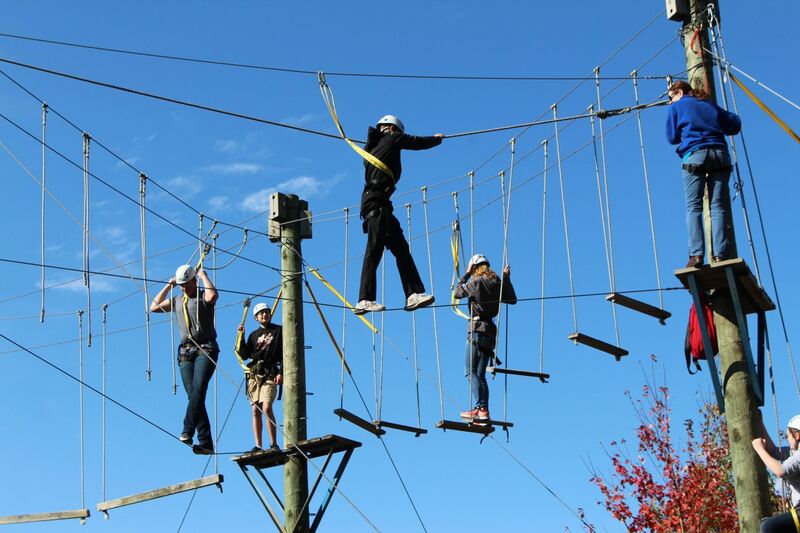 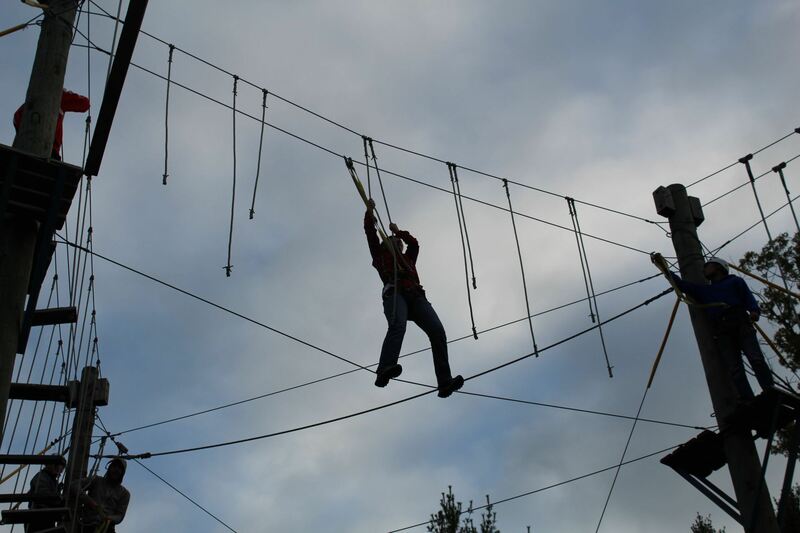 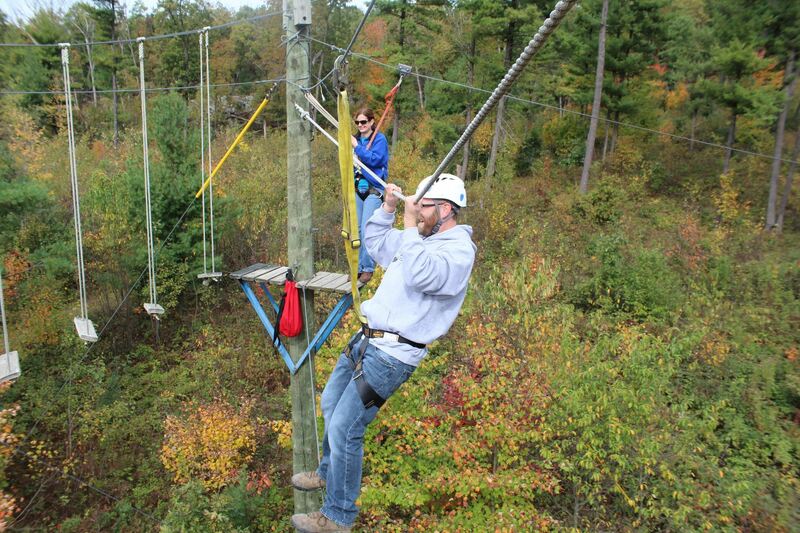 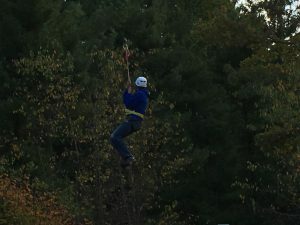 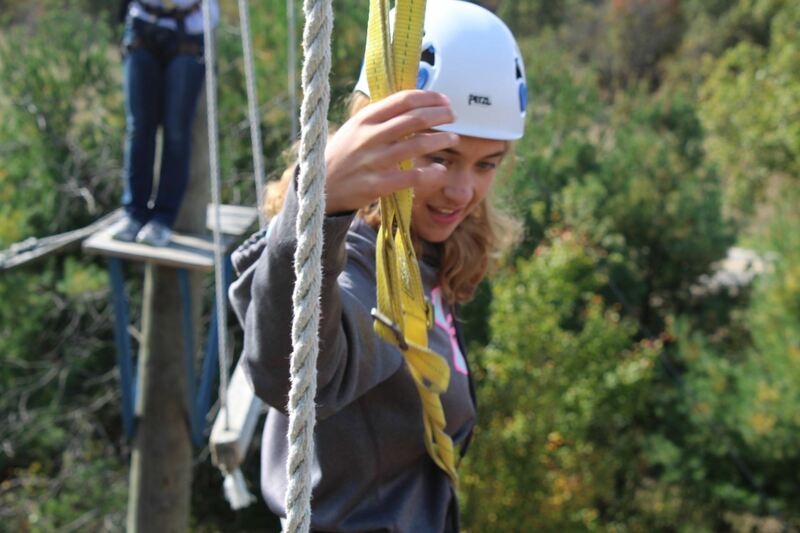 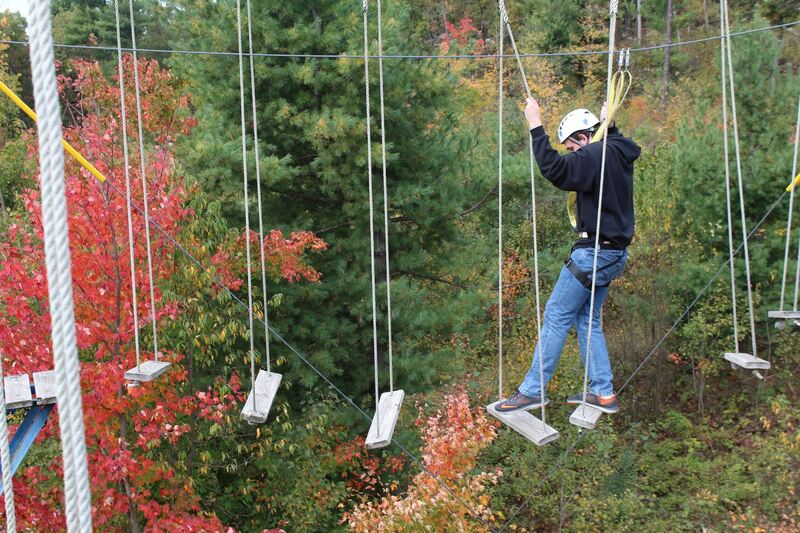 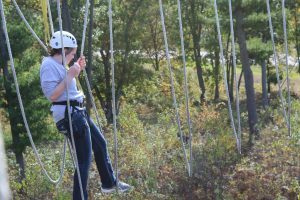 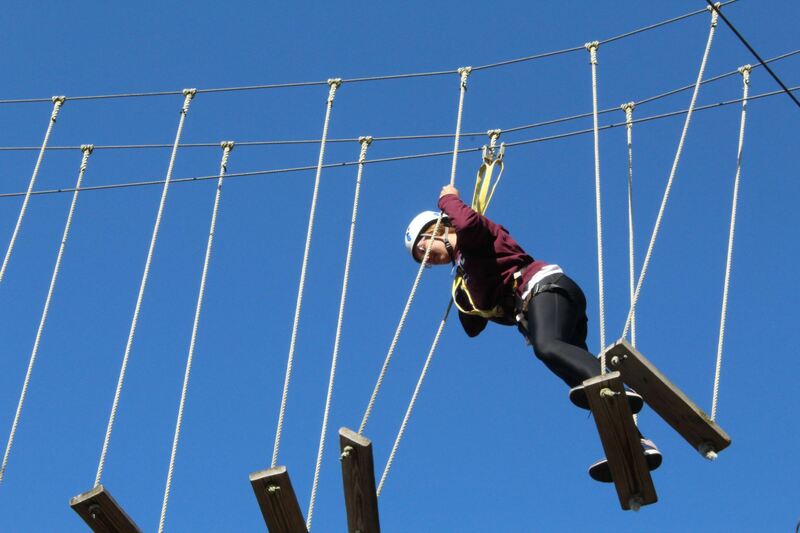 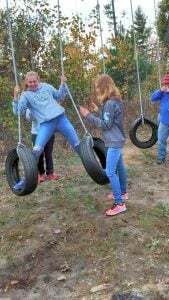 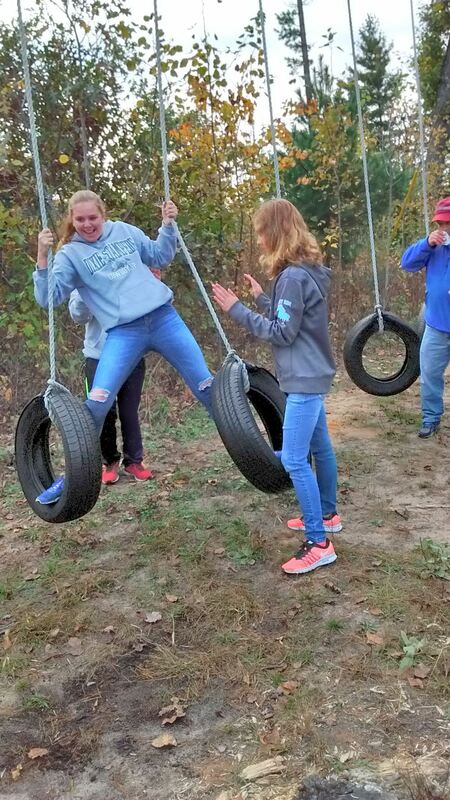 The high ropes course was more of an individual task to conquer your fears approximately 30 feet off the ground. 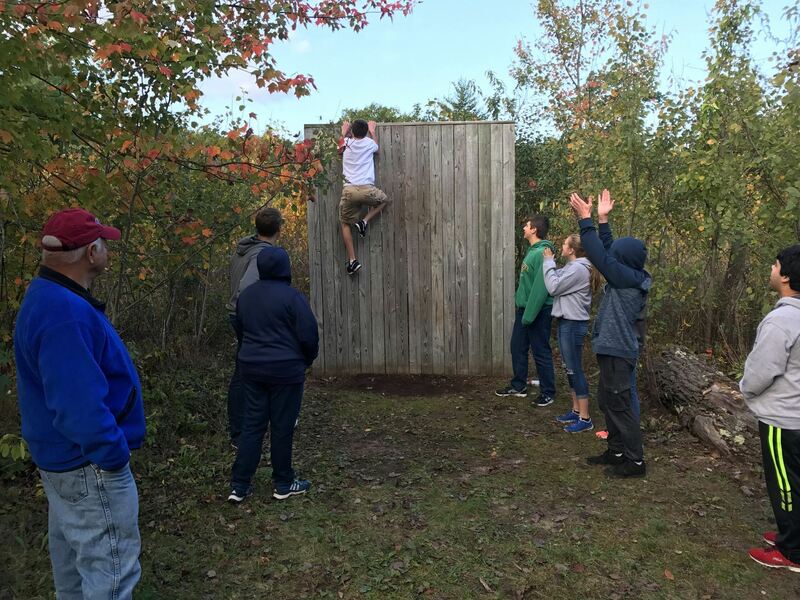 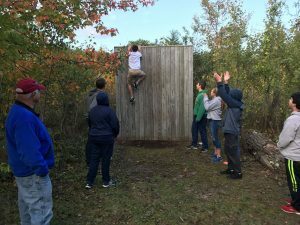 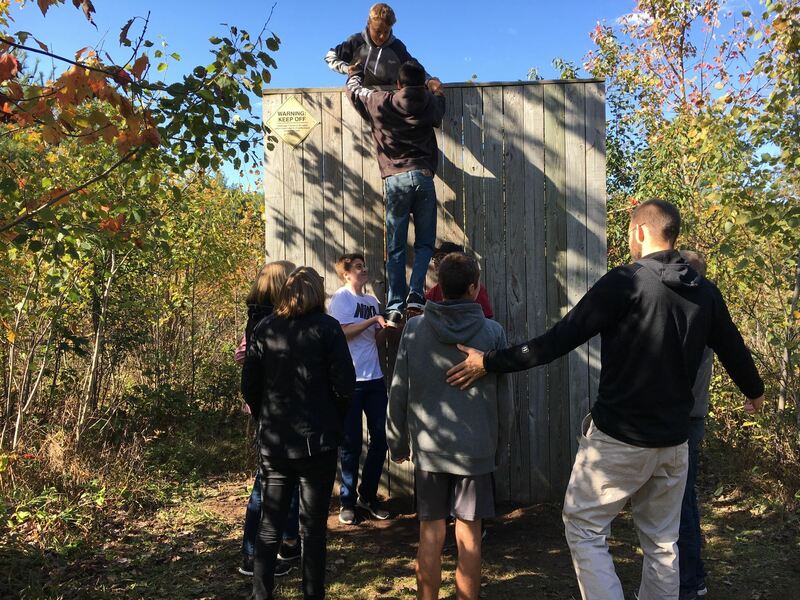 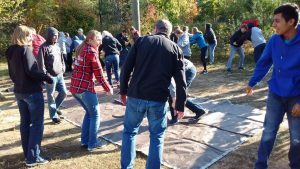 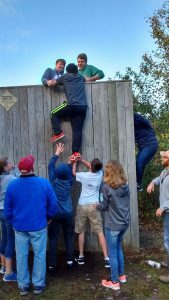 Many of us were cheering and encouraging our classmates as they took on this challenge. 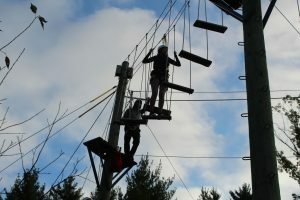 Here are pictures of the fun!